John (Jack) Sheridan practices general commercial litigation with an emphasis on real estate related litigation. He handles substantial matters at both trial court and appellate court levels, as well as before administrative agencies. Jack has represented clients in precedent setting cases in various fields of law, such as Diamond Asphalt Corp. v. Sander, 92 N.Y.2d 244 (1998), which invalidated a section of the General Municipal Law; Rubinstein v. 160 West End Owners Corp., 74 N.Y.2d 443 (1989), which held that an estate is not a "tenant in occupancy" with the right to purchase a co-op unit where the decedent died before the unit was offered for sale; Schwartz Landes Associates v. C.A.B., 117 A.D.2d 74 (1st Dep`t 1986), which clarified the rights and liabilities of members of group homes as rent stabilized tenants; and RKO Century Warner Theatres v. Morris Indus. Builders, 174 Misc.2d 954 (1997), which clarified rights of tenants seeking injunctive relief pursuant to First National Stores v. Yellowstone Shopping Centers. Prior to joining Herrick, Jack was a partner at Graubard Mollen & Miller. He is a member of the New York State Bar Association and the New York County Lawyers Association. 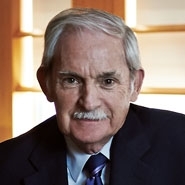 Prior to his admission to the Bar, Jack was employed for more than 10 years in various parts of the New York State court system, including the Appellate Term of the Supreme Court for the Second Department and the Supreme Court, Kings County.